Supernatural’s 200th episode was a love letter to the fans – a madcap musical trip down memory lane, loaded with more easter eggs and in-jokes than you can shake a shtriga at. 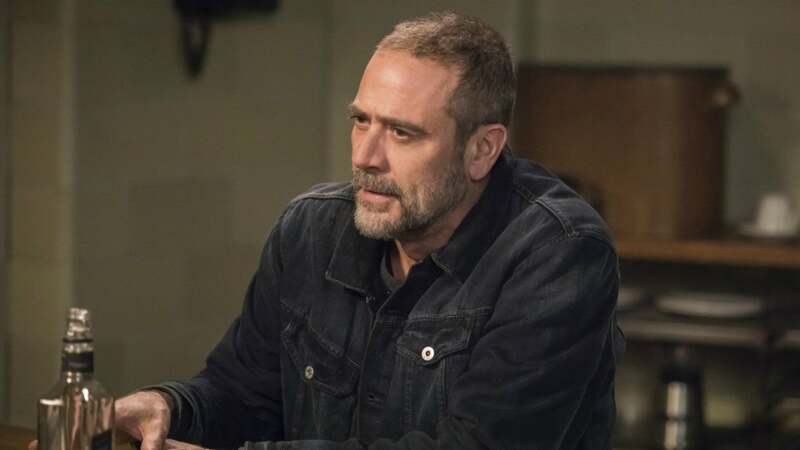 But for the show’s milestone 300th episode, showrunner Andrew Dabb and episode co-writer Meredith Glynn have scripted an installment that is far less meta, but no less meaningful, by finally bringing back Papa Winchester (Jeffrey Dean Morgan), 12 years after the show first killed him off. In “Lebanon,” we’re revisiting the show’s emotional legacy rather than its plot twists, and that’s a surprisingly effective curveball, since Supernatural has given us plenty of episodes that satisfy its self-referential urges over the years. The episode is an acting tour de force for all four Winchesters; Jensen Ackles perfectly captures Dean’s childlike optimism and repressed longing for a chance to revisit the security he felt in his youth – a welcome break from the mental turmoil he’s been dealing with this season thanks to Michael – and Jared Padalecki deftly navigates Sam’s conflicted feelings towards his father, from his frustrations over how little John understood him when he was younger, to the emptiness he obviously felt at never getting a chance to say goodbye before John sacrificed himself to ol’ Yellow Eyes. John’s reunion with Sam and Dean is undeniably powerful, but it’s his scenes with Mary – both their hello and their eventual goodbye – that prove the most devastating, delivered with heartwrenching intensity by Morgan and Samantha Smith. The method of John’s return is pure MacGuffin – facilitated by a magic pearl that supposedly delivers whatever the owner’s heart desires. While Dean is ostensibly obsessed with getting the despotic archangel Michael out of his head, it’s no surprise that his deepest desire is a chance for his family to be whole for the first time since he was four years old. But in typical Supernatural fashion, the wish comes with strings attached, and because John has been transported from 2003 (seemingly as a way of delivering maximum angst and catharsis, since this version of John hasn’t seen Sam since the blowout fight they had before Sam left for Stanford, nor has he had the closure of seeing the Yellow-Eyed Demon defeated), his presence in the future soon begins to alter the timeline. In this new world, Sam becomes a TED-talk delivering lawyer who dresses like Steve Jobs and has no life outside work, while Dean remains on the FBI’s most-wanted list thanks to his hunting activities. Since the brothers never reunited and Dean never went to hell, Castiel was never sent to grip him tight and raise him from perdition, and boss-angel Zachariah (Kurt Fuller) is still around, behaving like an assbutt. But more than that, if all of their previous adventures cease to exist, it will mean that Mary is never resurrected, leaving the brothers faced with the prospect of once again losing at least one parent, even if they get to keep the other. So John has to go back to his own time with no memories of his heartfelt reunion with his sons and his formerly dead wife – but not before the Winchesters share one touching family dinner together, in a scene that may prompt tears from even the most stoic Supernatural fan. It’s in these quiet moments between the Winchesters that “Lebanon” really excels, from Mary’s agonizing realization that she has to say goodbye to her husband again, to John’s gentle moments of fatherly reflection with both of his sons, realizing how much time he missed – both in the years since he died, and undoubtedly in the years that he was consumed by his search for the Yellow-Eyed Demon, robbing them of their childhoods. In that way, “Lebanon” is reminiscent of one of the show’s most powerful episodes, “What Is and What Should Never Be,” which also manifested one of Dean’s deepest wishes (albeit without the benefit of having a free space in Jeffrey Dean Morgan’s schedule). Thankfully, the episode differentiates itself by making John’s visit a reality, rather than simply a hallucination or dream, allowing Dean, Sam, and Mary to carry those memories with them, even if John dismisses them as a strange dream when he returns to his own time. For longtime genre fans, “Lebanon” also has echoes of a classic episode of Angel, “I Will Remember You,” in which our vampire hero is given the chance to be human again and finally pursue a romance with his soulmate, Buffy, before being forced to sacrifice his newfound peace and humanity in order to protect the world. Our heroes can never catch a break, in typical TV fashion, but in this case, it seems as if Sam and Dean really do benefit from the chance to have an honest conversation with their father and heal some old wounds that otherwise might’ve lingered, whereas “I Will Remember You” just felt like a bittersweet punch right in the heart. You have to wonder if that’s also true of Mary, though – we’ve seen a burgeoning connection between her and the Apocalypse World version of Bobby, but clearly her feelings for John haven’t gone away, even if she never imagined she would have a chance to act on them again. It certainly wouldn’t be surprising if John’s brief visit has more lingering effects on Mary than on the boys moving forward. The episode isn’t completely self-contained, though; “Lebanon’s” B-plot fleshes out some of the inhabitants of the titular town, which is situated close to the Men of Letters bunker that Sam and Dean have been calling home since Season 8. One of the episode’s more subtle nods to the show’s legacy comes from the fact that a group of the town’s teens have become fascinated with Sam and Dean and their presence on the outskirts of their community – the Winchesters have now been around long enough to become the subject of urban legends themselves, rather than simply hunting them. And now that the teens have witnessed Sam and Dean going about their “family business,” they will undoubtedly be drawn further into the Winchesters’ world down the line. While “Lebanon” doesn’t feature half as many callbacks to previous episodes as “Fan Fiction,” there are still enough nods to the past to be satisfying for longtime fans, from Sam’s long-established fear of clowns (manifested via the ghost of John Wayne Gacy, no less!) to Dean’s favorite movie franchise, All Saints Day, getting a shout out at Lebanon’s local movie theater. It’s the little things. Supernatural’s 300th episode may not have the scale of the 200th episode or the mythology-shaking ramifications of the 100th, but what it lacks in scope, it makes up for in emotional depth. Even though the hour doesn’t move the Michael storyline forward, it does finally offer some closure for Sam and Dean after their father’s sacrifice way back in Season 2, and the resonance of seeing the entire Winchester family together makes the contrivance of the situation a lot more forgivable. Few shows are as inventive, ambitious, or impactful as Supernatural has always been, especially series that have been on the air for over a decade. “Lebanon” is a perfect reminder of just how creative and effective the show can be when it focuses on what has always been at Supernatural’s heart: Family. With the show already renewed for Season 15, the Winchesters have still got plenty of work to do, and we’ll be along for the ride.